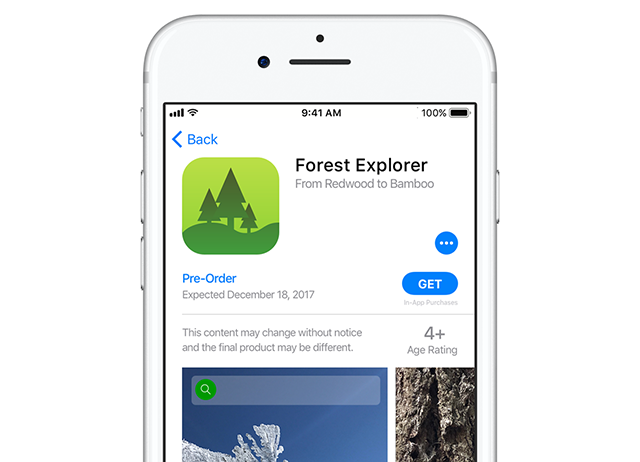 In an effort to build up hype, and also gauge demand, developers can now make their future apps available for pre-order on the Apple App Store. If you’re excitedly awaiting the arrival of a new app from your favorite developer, you can now buy it up to 90 days in advance, and it will be downloaded automatically once released. The product page for the new app will appear on the App Store, with a pre-order badge, and the date it’s expected to be released. Developers can specify a date that’s between 2 and 90 days in the future. Pre-orders are available for both free and paid apps on all Apple platforms -- iOS, macOS and tvOS. If you make a pre-order and then change your mind, you can cancel before the app arrives. Pre-orders are only charged on the day the app is released, and if the price changes before that day (i.e. goes up or goes down), you’ll only ever pay the lowest amount.